Head into any art gallery nowadays and the sight of a crowd of people in front of a painting, arms outstretched and phones out, will be a familiar one. The instinct to photograph has become almost a substitute for ownership, to some extent: capture the moment, both for safekeeping and as proof that you saw. There are people - likely those lamenting millennials and their mortgage-destroying avocado toast - who might sneer at this. One of the most common criticisms I see levelled at people who mediate their travel experiences through a camera or phone or any digital medium is the concern that they're not living the 'full' travel experience because they're so - quote unquote 'obsessed with taking photos for social media'. I've always wondered if the most vocal critics of this idea realise how long it actually takes to take a photo, or the idea - surprise! shock! horror! - that you can both appreciate an artwork and take a nice photo. Or even a selfie. Or ten. Maybe even while listening to a tour guide (another favourite travel past time: seeing how many Chinese or Japanese tour groups I can bump into and eavesdrop on). I really think it's possible to do both. I see plenty of people snap a photo and then put the phone away to look closely with their own eyes, lingering for quite awhile. 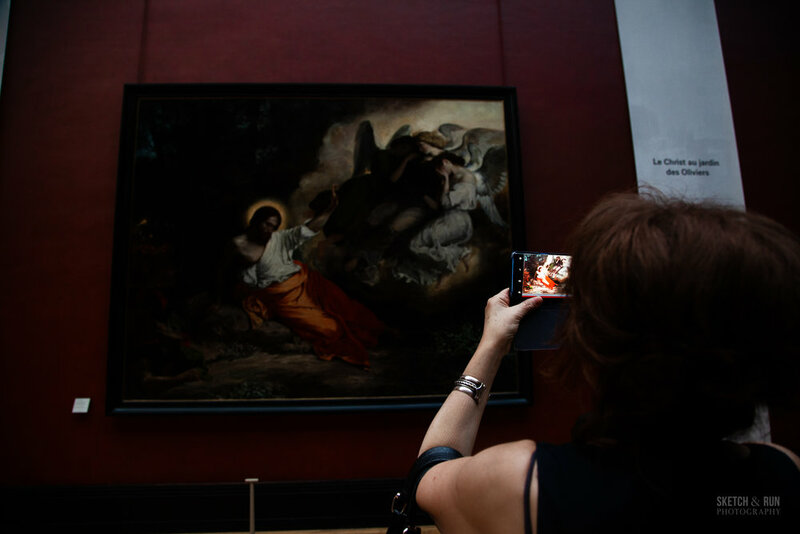 You'll inevitably get the handful who act like they're doing a speed run through the Rijks, Louvre or Musee D'Orsay in 40 minutes, but observing actual behaviour really offers a more realistic perspective on what is sometimes very overblown hysteria about the ~digital media~ generation. And more to the point -- the artworks themselves. What was once reserved exclusively for the dining halls of the wealthy and powerful are now available to everyone who wishes to keep a record of paintings that make them happy, if only for the small pleasure of having something for their phone's lockscreen. 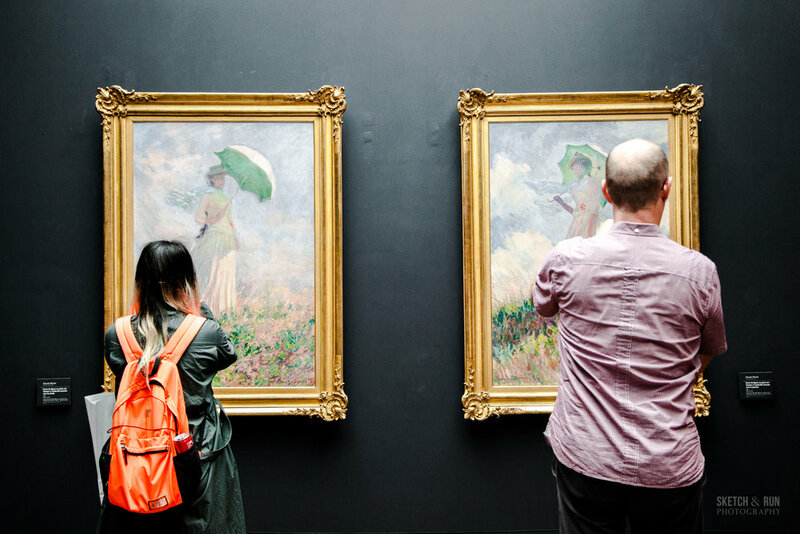 So here's to the modern day art collectors: I find you much more interesting to photograph than the paintings alone, though sometimes I do want to reach out and straighten your shot for you.